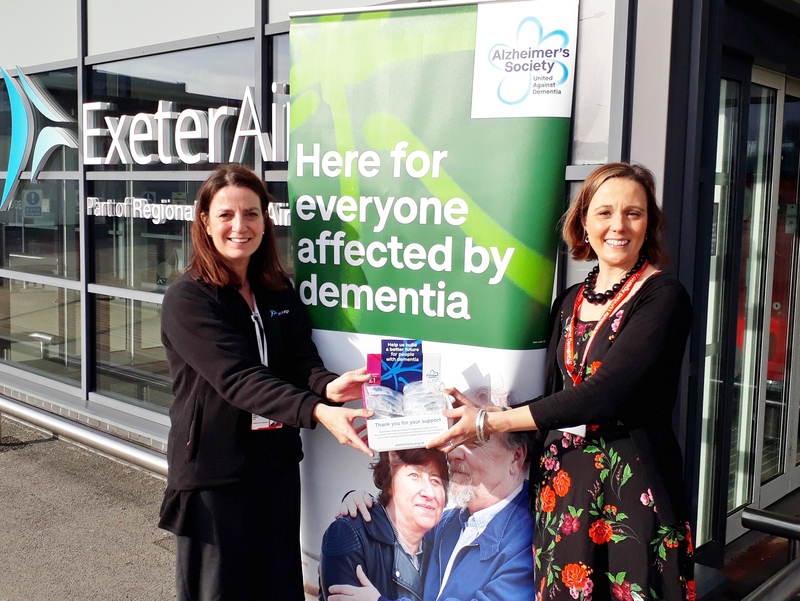 The 2019 Exeter Airport Charity of the Year is the Alzheimer’s Society. To launch the year long association with the charity Exeter Airport Duty Manager Anna Wroth, who has special responsibility for the airport’s Assistance service, welcomed Claire Frost, the Alzheimer’s Society Community Fundraiser for the area, who handed over the badges used to promote their fund-raising. The Alzheimer’s Society is working tirelessly to challenge perceptions, fund research and improve care and support. They are the only UK charity investing in research into dementia care, cause, cure and prevention. Services include Dementia Cafés, Singing for the Brain® sessions, and Dementia Advisers, Dementia Support Workers and Side by Side volunteers who support people to keep doing the things they enjoy. The Alzheimer’s Society is committed to spending £150 million on cutting-edge research over the next decade so they rely on donations. 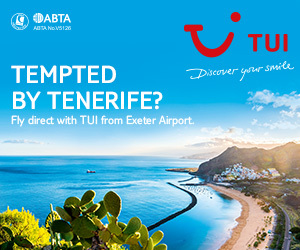 The Exeter Airport Charity of the Year is offered the opportunity to raise awareness of the organisation and to place cash collection points at various locations in the airport. There are opportunities to give when at the airport or donate to the Alzheimer’s Society here.